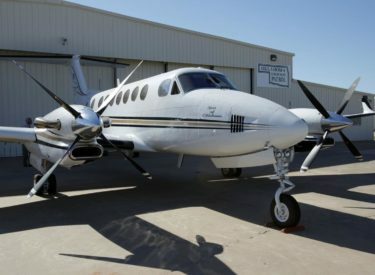 OKLAHOMA CITY (AP) – Oklahoma’s new governor is ordering that his office’s airplane be sold and demanding state agencies stop hiring contract lobbyists as part of cost-saving efforts. Republican Gov. Kevin Stitt issued a series of executive orders Thursday, including the sale of the plane. Stitt says the governor’s King Air 350 aircraft costs the public about $1 million annually. Stitt also says he’s had difficulty determining how many state agencies are hiring contract lobbyists to influence the Legislature, a practice he wants to stop. Another executive order takes aim at classified employees in state government. Stitt says he is lifting a hiring freeze for state agencies, but only for unclassified positions, which have fewer job protections. Stitt says the order is designed to give agency leaders “flexibility” to modernize its workforce.